Without doubt my discovery for 2008 was David Foster Wallace. Stupidly, I never read him while he was alive—I tend to read mostly crime fiction, nonfiction, and classics, and I thought Wallace was some kind of smug hipster. Nothing could be further from the truth. In his fantastic books of essays (check out Consider the Lobster and A Supposedly Fun Thing I’ll Never Do Again, although they’re all great) and his fictional masterpiece “Infinite Jest”, Wallace is relentless in his pursuit of the theme that modern Westerners are squandering their lives in the pursuit of shallow pleasures. And Wallace himself comes through clearly as a genius whose humility and willingness to examine his own doubts and failings makes it all the more tragic that he’s gone. “Blood’s A Rover” by James Ellroy. Release Date: TBA. Published by Alfred A. Knopf. Any year with a new Ellroy book is a good year even if Earth gets taken out by a meteor. “Mixed Blood” by Roger Smith. Release Date: March 3, 2009. Published by Henry Holt. Is it just me, or does this book look like it’s going to rock? ON THE HORIZON FOR JOSH BAZELL: Josh’s debut novel, “Beat the Reaper”—a comedic thriller about a hit man who becomes a physician to make up for having been a hit man—is coming out January 7, 2009 (US) via Little, Brown and Company and February 5, 2009 (UK) via William Heinemann Ltd. with the author currently working on his second book starring Dr. Pietro Brnwa. 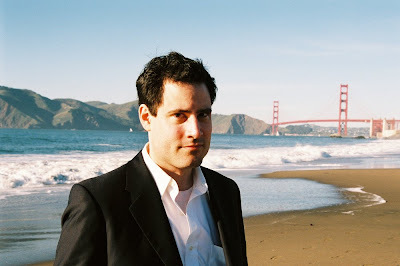 Josh Bazell has a BA in writing from Brown University and a MD from Columbia University. He is currently a medical resident at the University of California (San Francisco). “Beat the Reaper” is Josh’s first novel which has been listed as a #1 Indie Next List Great Read for January 2009. For more information, please visit the Official Beat the Reaper Website. why is this guy listed? he isnt a speculative-fiction author.